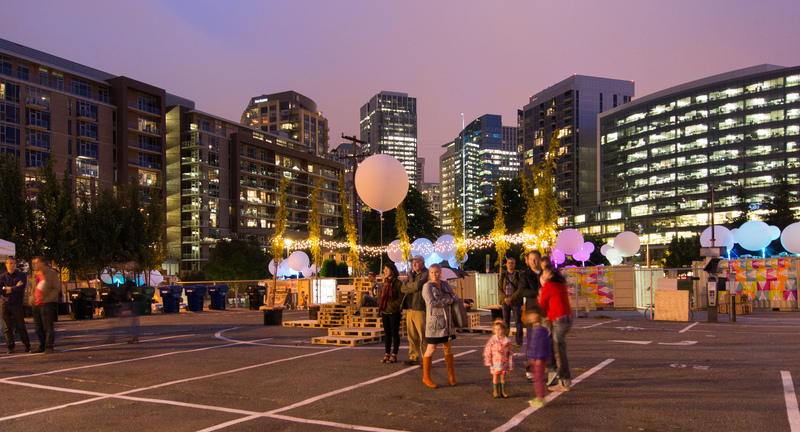 As we begin to windup for 2013’s Seattle Design Festival it seemed like a good idea to take a look back at last year’s festival and the planning that went in to it. 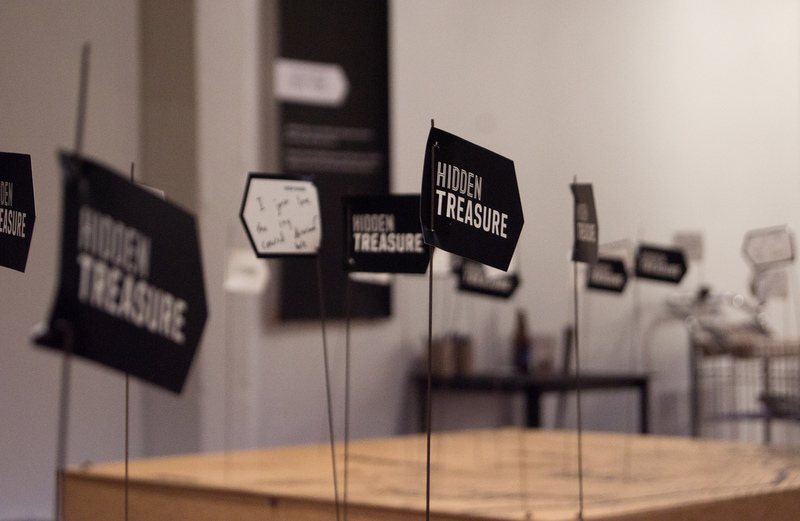 Some background: in early 2011 I did a Pecha Kucha at the Seattle Central Library on visualizing and seeing the hidden design potentials in Seattle. 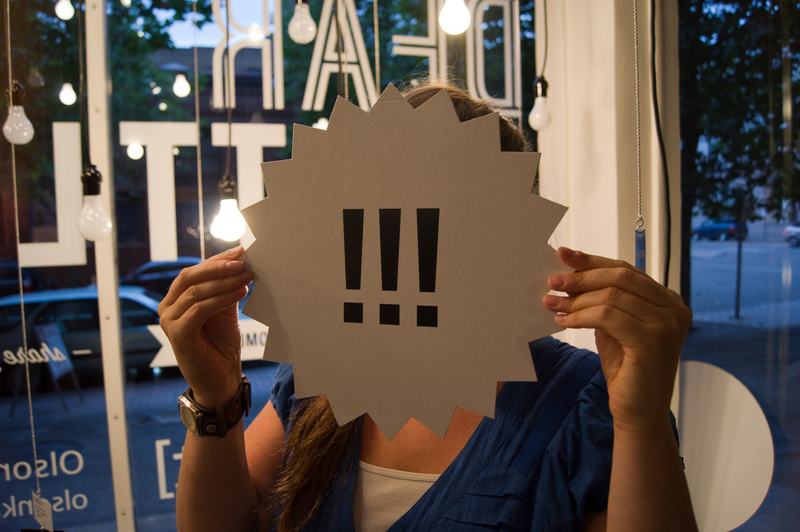 At the event the director of a brand new non-profit, Design in Public, urged myself and another participant, Jeremy Reding to volunteer for a design festival they wanted to put on. We ended up working on a central “hub” for the 2 week festival, an interactive space in Pioneer Square designed by Studio Matthews. 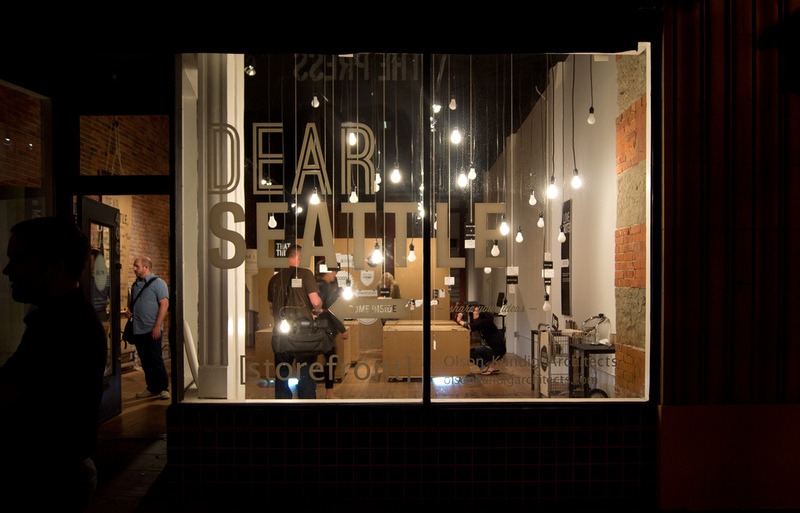 We offered comments and constructed the event space which was titled “Dear Seattle”. 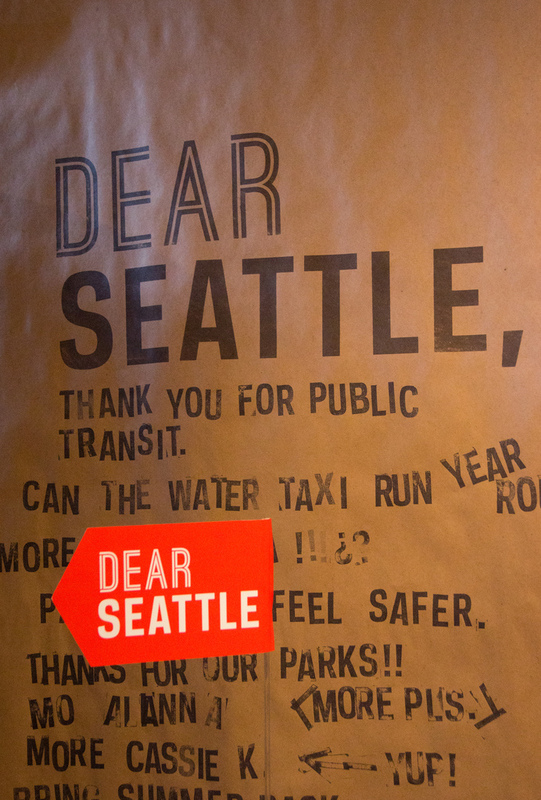 The entire exhibit was meant to be a letter to the City of Seattle, one that encapsulated the public’s gripes, loves, and desires. In 2012, following the success of that event we were invited to help with the early stages of planning. Throughout the process we’ve pushed for a certain level of self-critique and continual improvement, and some of our criticisms from year one were that the nearly two week festival felt a little stretched thin. There weren’t enough events to make the festival itself interesting and it was often hard to tell that anything of note was even going on. In 2012 the decision was made to compress the events and timeline as much as possible, the 14 day event was converted to a single energetic weekend. 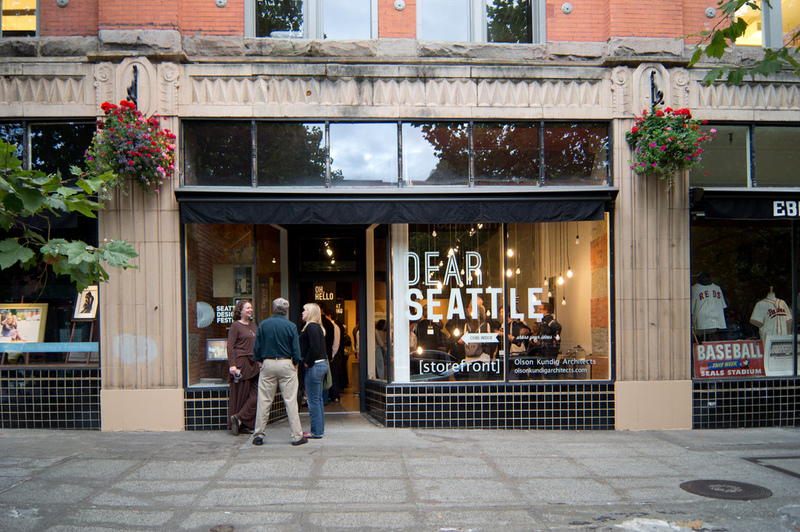 However, early in to the 2012 planning process we became frustrated as the same thing happening again, (a small series of lectures and one or two exhibits spread throughout Seattle). Knowing that one of the big goals for the festival was to be all within one neighborhood we made a big push to have the entire festival not only contained within a neighborhood but within a single venue. 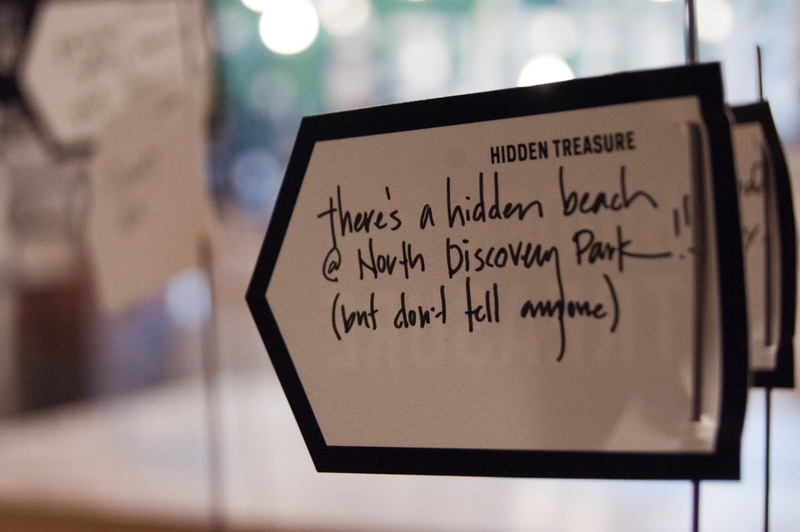 This method allows smaller less publicly engaging exhibits to benefit from foot traffic for the sexier, larger exhibits. 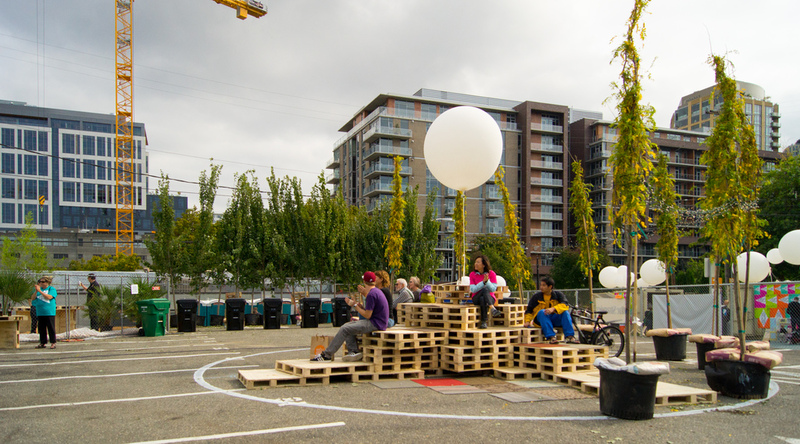 We identified a street in South Lake Union that appeared to meet our needs (a low traffic street with some expansion possibilities, in this case two parking lots and a venue large enough to host a lecture or reception. We originally set out to simply do a large installation to draw the public to the neighborhood and to the surrounding indoor events. However as we continued work on our proposal other designers and groups joined in. 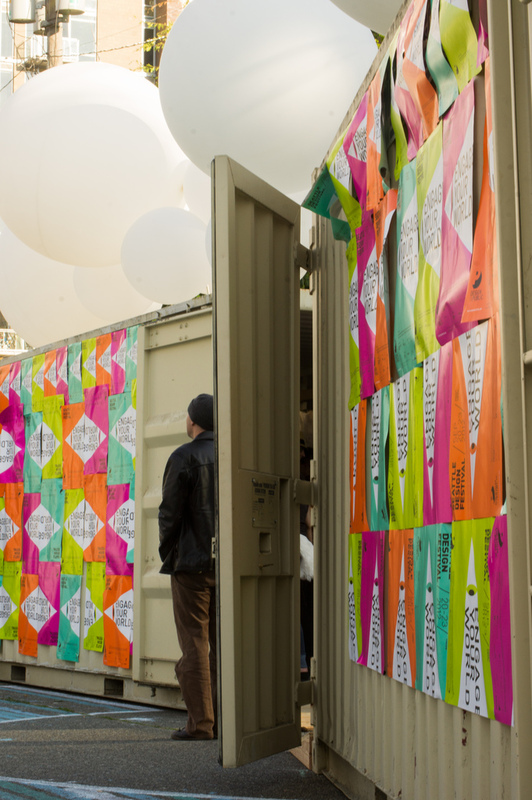 Soon we had filled the street with not only our installation but several shipping container galleries, a stage, a beer garden, several large installations, artwork, and a design competition. Our goal was to tie all these elements together with some heavily postered containers and an interactive lighting installation above that used weather balloons. The initial design and layout of the street was largely the product of myself, Jeremy Reding (of Boxwood) and Jon Gentry (of goCstudio) however the final product was the work of over 50 individuals that worked tirelessly under our direction. 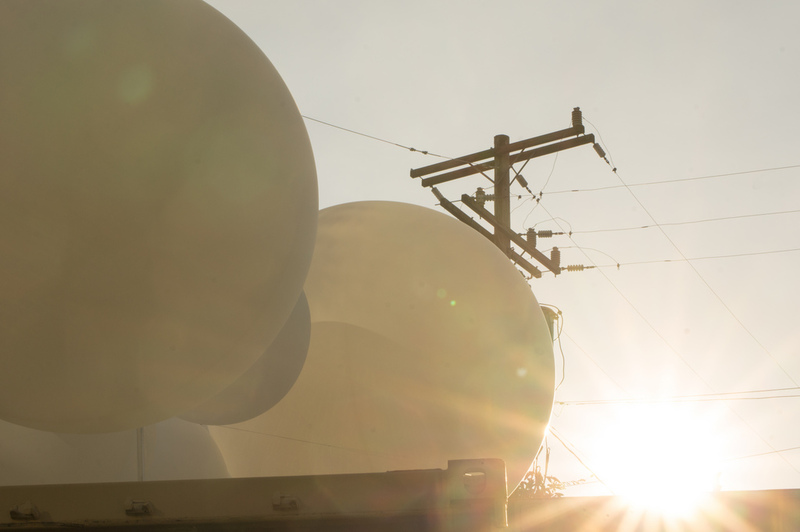 We spent a month playing not only with concepts but also ways to pull off the technical aspects of mounting (50) 3 and 6 foot weather balloons and lighting them in a manner that was engaging. 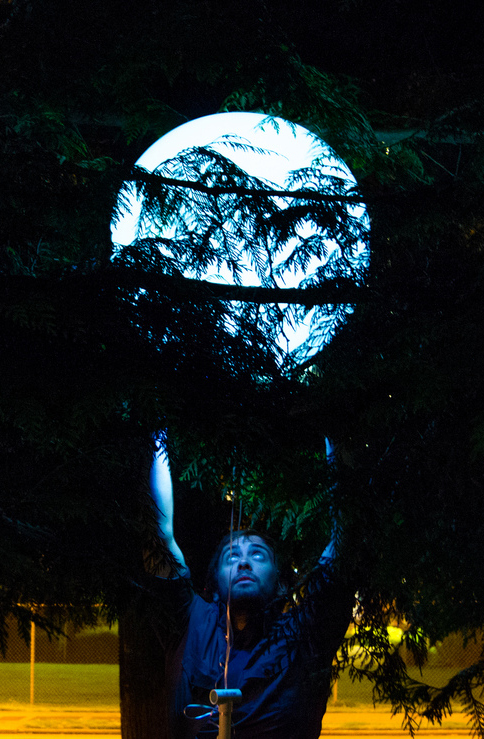 Here’s an early test of a 20″ balloon and a super bright LED. Our initial plan to use helium filled balloons and small battery operated lights that could make each balloon glow. We later discovered that the economy of scale made this difficult to pull off give our small budget. We ultimately chose to utilize IKEA’s linear LED strips. This gave us color changing lighting that could either be manipulated or left on a cycle. 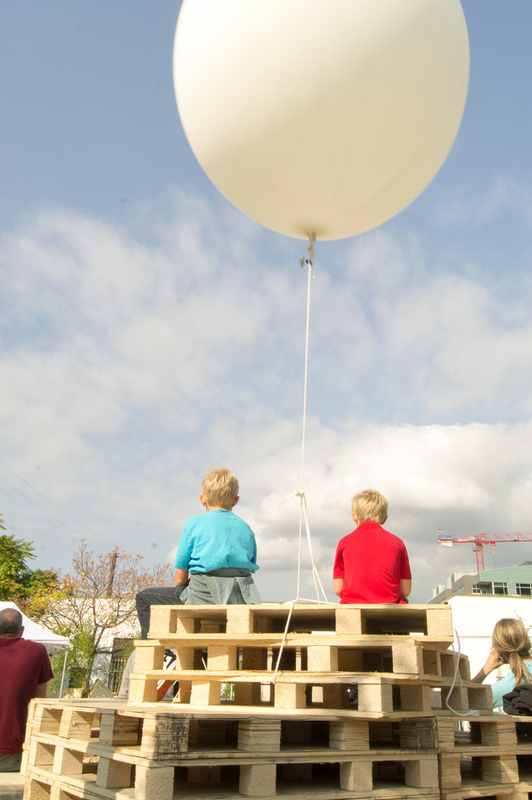 The cost of helium proved to be too much to fill 60 massive balloons so we opted for air-filled balloons that were mounted on poles (which also held our linear lights). Budgetary constrains also dampened our attempts to modify the look of our shipping containers (rented from Honey Bucket) which were a rather bland looking off white. As a last ditch effort on the build day itself we had volunteers cover the sides of the containers with excess posters we had for the festival. Though improved from before, the effect wasn’t entirely successful and if we use containers in the future I would prefer to utilize something larger and singular. 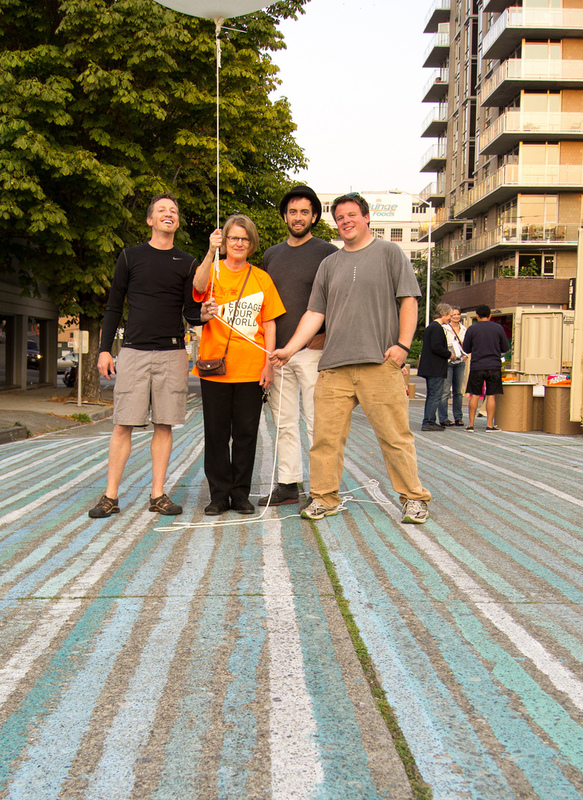 The chalk covered street (or stream as it came to be known) was the most successful portion of the block, Urban Artworks, a local non-profit that provides young people with opportunities to make public art, managed a large team of volunteers to cover the entire block in water based chalk ribbons. The chalk remained for several months after the festival itself and served as both a reminder and a marker for our presence. The artwork also made a nice mural for the neighboring school which doesn’t have any outdoor space or playgrounds. We had a fantastic team put together several acts (4 a day) for our stage. 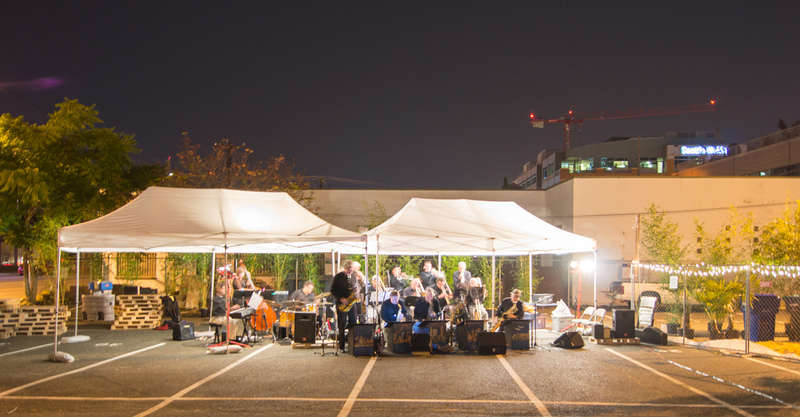 Our decision to place the stage in an adjacent venue proved to be less than successful and made for a significant amount of additional work and we are rethinking our approach to music and performance for 2013’s festival. In the future I believe we’d be better off going with artists that can effectively busk within our festival layout rather than breaking them off into their separate area. We are a design festival and we made the same mistake a few other festivals have made in that we got away from our goals, we weren’t drawing a crowd to the site for our music, which we discovered when our galleries shut down for the night and our musicians played to crowds of 10-20 people max. We were able to secure a source for a very large quantity of shipping pallets and they quickly became our basic building block for installations, necessities like signage and even seating. We were able to construct a large “hill” for seating that anchored our parking lot. We also made a huge mistake in not housing bar-based events like the design pub quiz and even pecha kucha’s within our own beer garden. Despite our best efforts events outside the site still tended to leech off our visitors and the beer garden suffered for it. 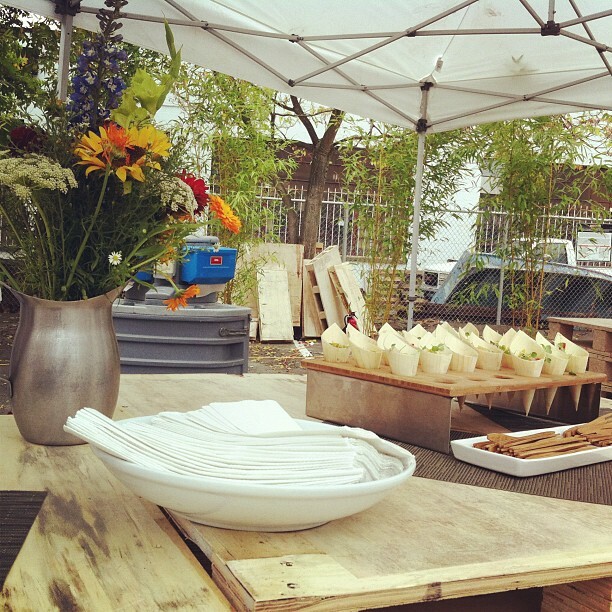 We pushed to have vendors that had some tie to the design community or an interesting design story and were ecstatic to have Hilliard’s Beer, Rachel’s Ginger Beer and Substance Wines all volunteer their time and services. Due to political issues with surrounding businesses our original plan to fill the adjacent parking lot with food trucks was nixed in favor or providing tastings from nearby restaurants. Once again the fence around the neighboring parking lot proved to be a larger barrier than we anticipated. 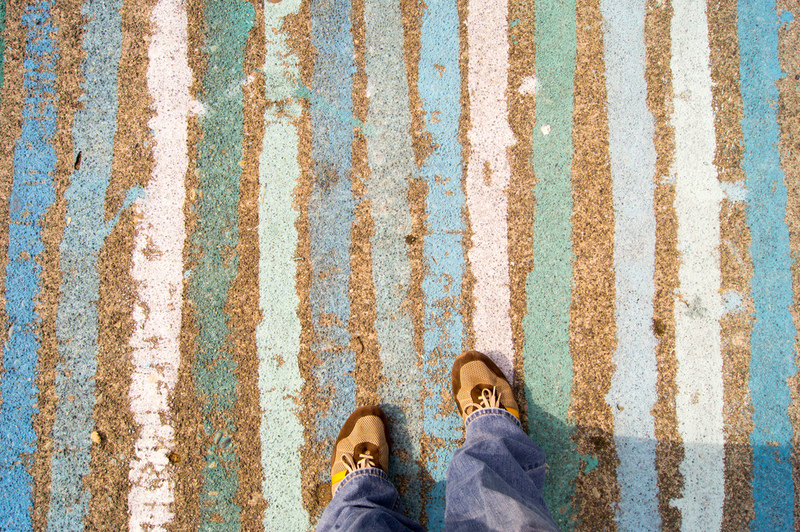 We are looking at venues for 2013 that not only have a visual connection to each other but also a minimal amount of physical barriers. Although it was initially part of the original concept we didn’t truly add the idea of hosting a design/build competition until late in the planning process. The competition itself turned out to be relatively easy to pull off once we had a venue to display the results and with our non-profit providing the initial funding to get it off the ground we ended up with 13 entries. 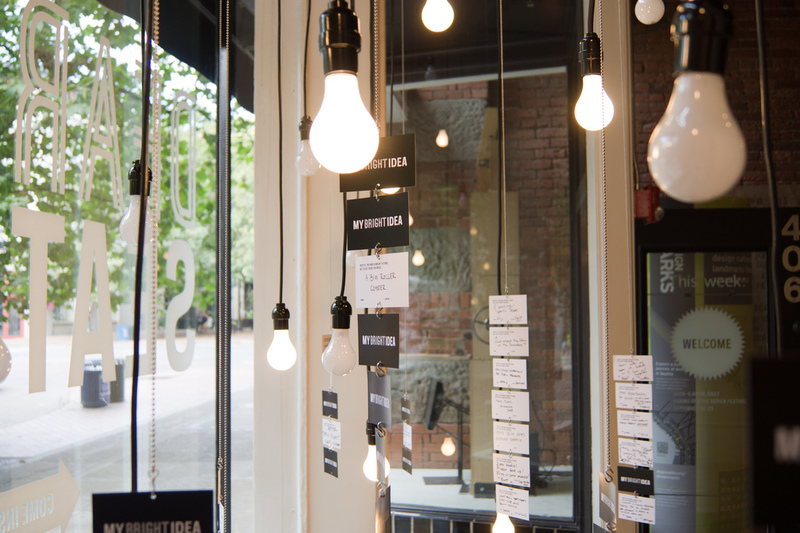 The Design Jam, as we took to calling it, was established as an exploration of how a group of designers might address the idea of urban furniture when given a finite number of resources. We allowed teams to use a kit of parts that we provided; a sheet of plywood, a few 2x4s, a sheet of canvas and some cable. 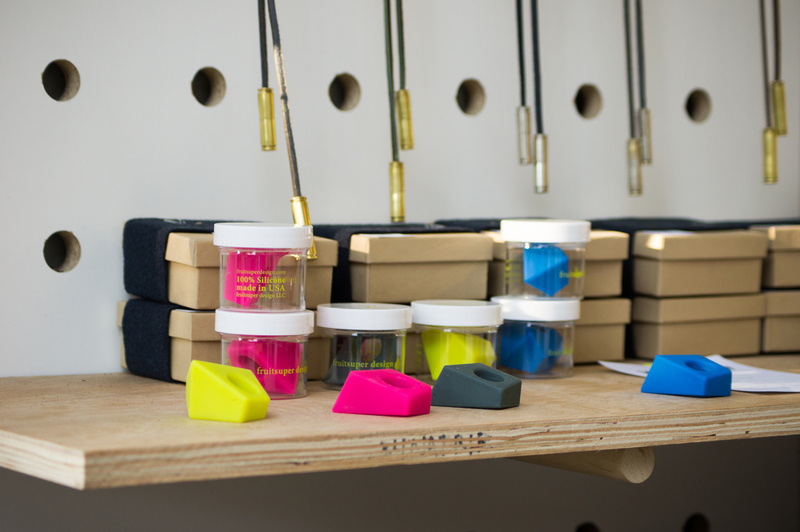 The designers could pair these items with whatever fasteners they wanted and (1) recycled item of their choice. We were initially trepidatious about what the design teams would come up with and there were some concerns that the quality would be on the low end. However the results surpassed our expectations and the teams delivered in spades. The winning entry utilized a disassembled radiator and CNC milled plywood to create a surprisingly comfortable chaise lounge. 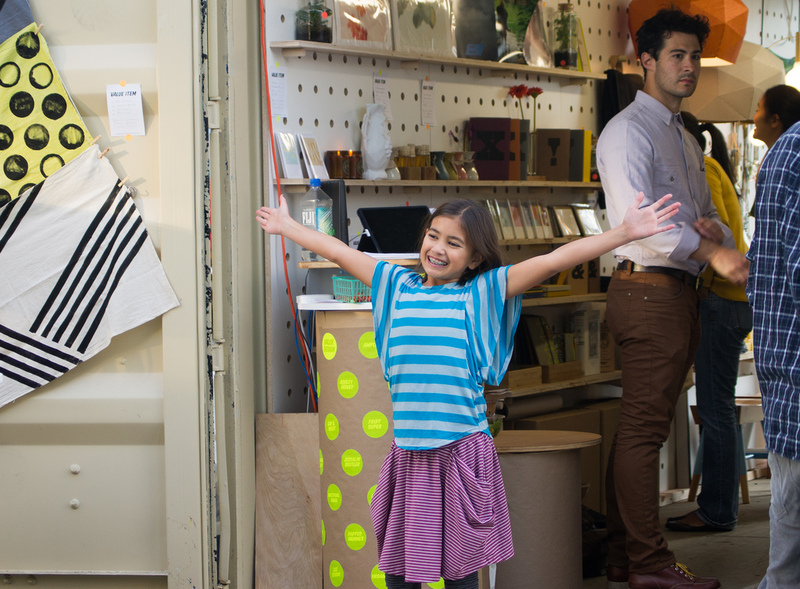 We found that a mix of static display and participatory activities seemed to work best. Exhibits like the Hipstamatic photo gallery (part of an international competition utilizing the Hipstamatic iPhone app) and the pop-up retail store proved to be very popular. 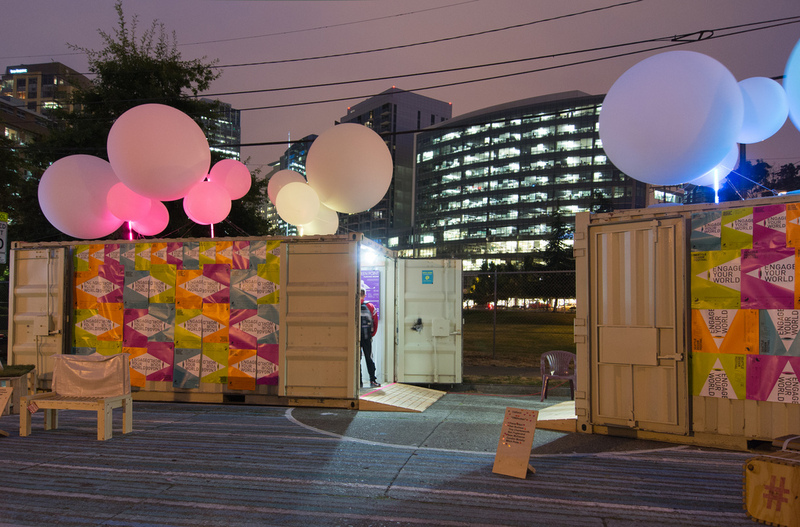 We had a total of 8 containers housing design organizations such as AIGA (poster show), IXDA (Hipstamatic gallery), IIDA (interior design awards), DPD (Seattle’s Urban Plan), and a group of independent industrial designers. 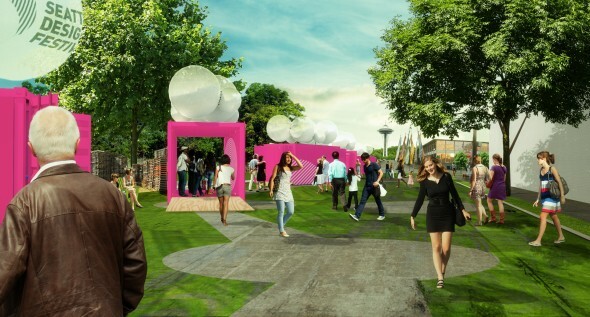 In addition, the site played host to a grove of trees designed and provided by Seattle area landscape architects. 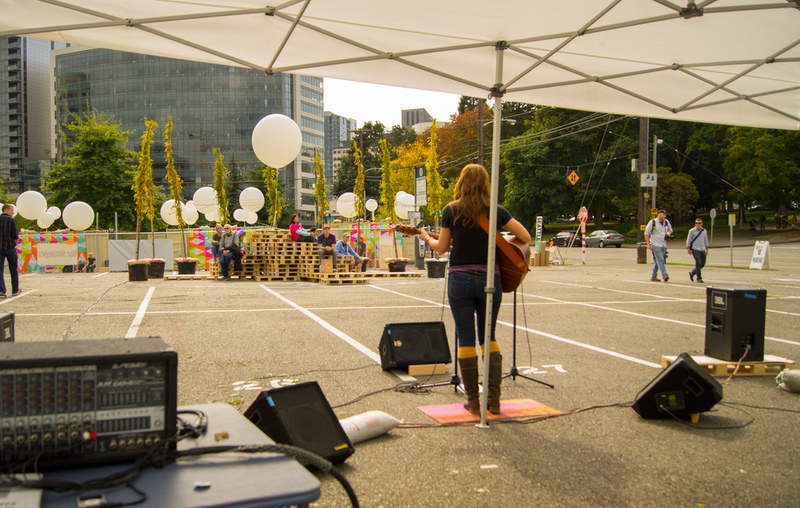 The festival was also timed to coincide with parking day and the City of Seattle cooperated in helping participants find locations near our block which increased our critical mass on our opening day. 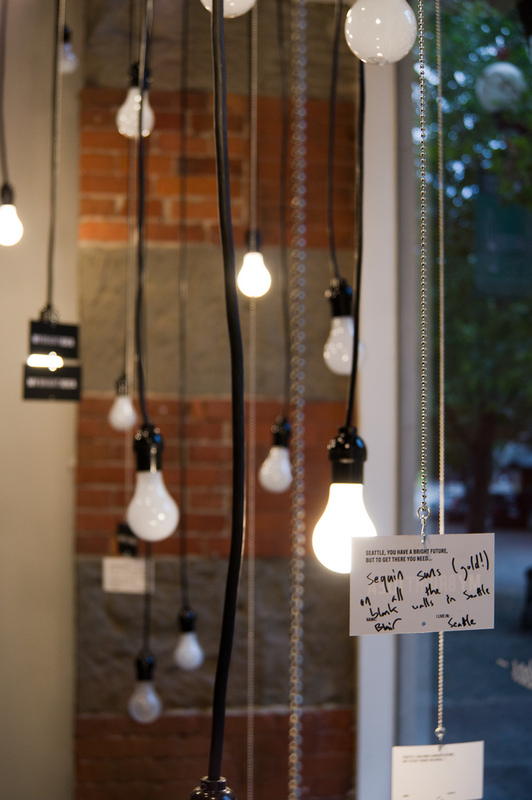 Planning for the 2013 Festival has already begun and the theme of “Design in Health” has been chosen, in addition we’ve identified a few other long term goals. We’d like to feature the designs, thinking and attitudes that represent our fair city while also creating some physical object, project, or design that lives on each year. 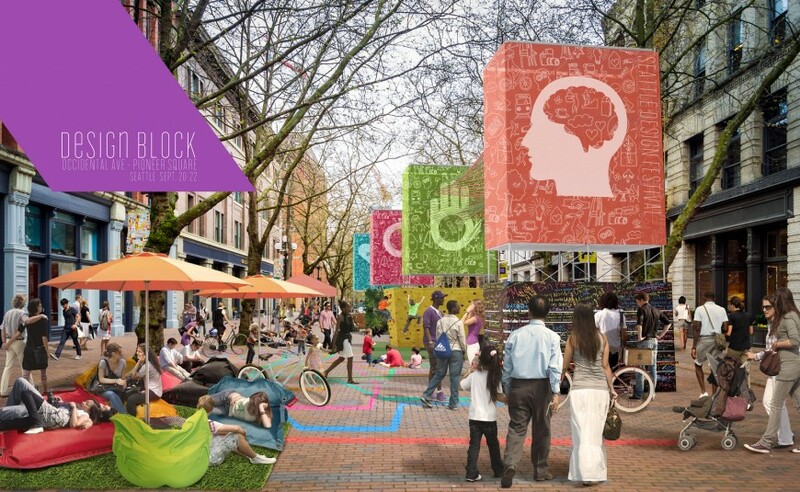 Perhaps a parklet, or a mural or manual? 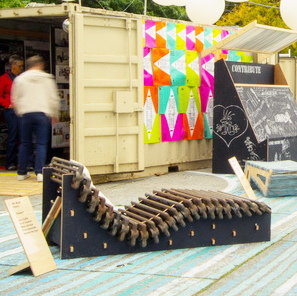 This model is similar to what the London Design Festival does with large pavilions or public art pieces. This project does not have to be tied to the location of the outdoor festival and should be a well crafted and executed gift to the city from the Design community. We’d like to push our partner’s to produce new and exciting content that is specific to the theme and timeframe of the festival. It’s possible that remaining in the same location year to year will allow us to grow and establish a reputation on the public’s calendar. 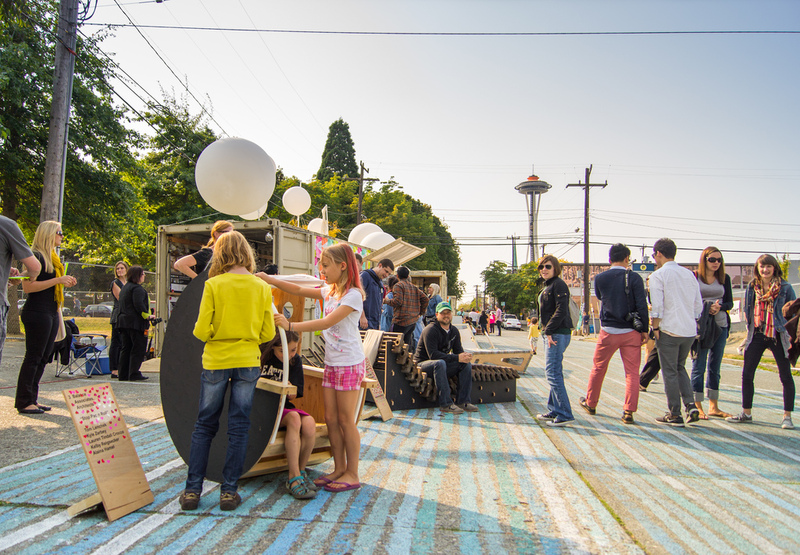 We’re engaging the city in several ways to increase our footprint and, for the first time ever, expand Park(ing) Day beyond Friday, Sept. 20 through the entire weekend. Retail items like t-shirts will be revisited in ways that both incorporate our local talent and create items that are desirable to the general public (as opposed to festival volunteers). This year we’re looking at engaging amazing local organizations like the Vera Project and the Alley Network in the hopes of utilizing their knowledge and assets in a way that’s mutually beneficial. In previous years we’ve swung from engaging the public to engaging the design professional, moving forward we’d like for elements like the Design Block to be extremely engaging to the public while other items such as lectures or exhibits can be engaging and exciting to the design community. 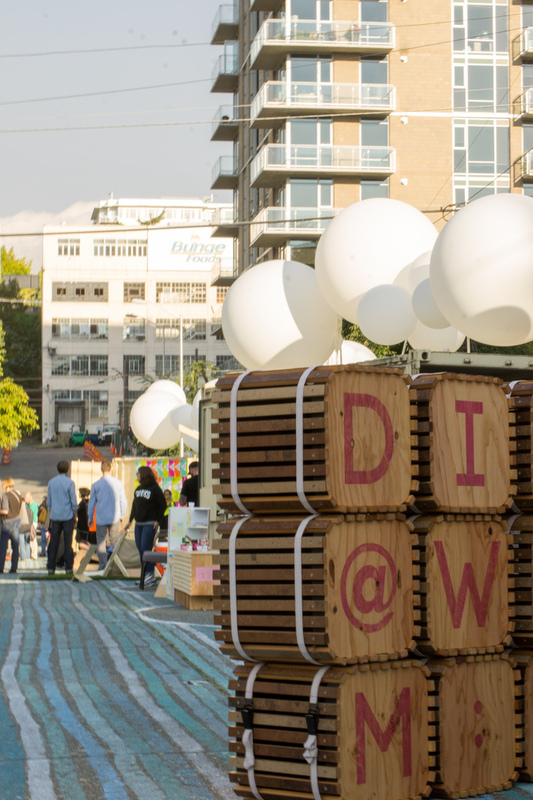 The festival has to balance both the principles of engaging the community and fostering a healthier and richer design community in the city of Seattle. 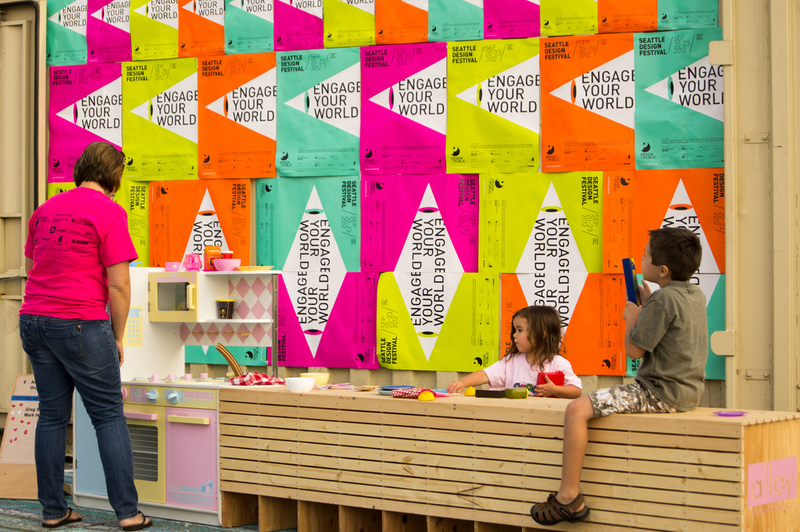 One of the most powerful things to come out of the 2012 festival was a sense that those involved in the Design Block had come together to create something that represented everyone not just a single organization. 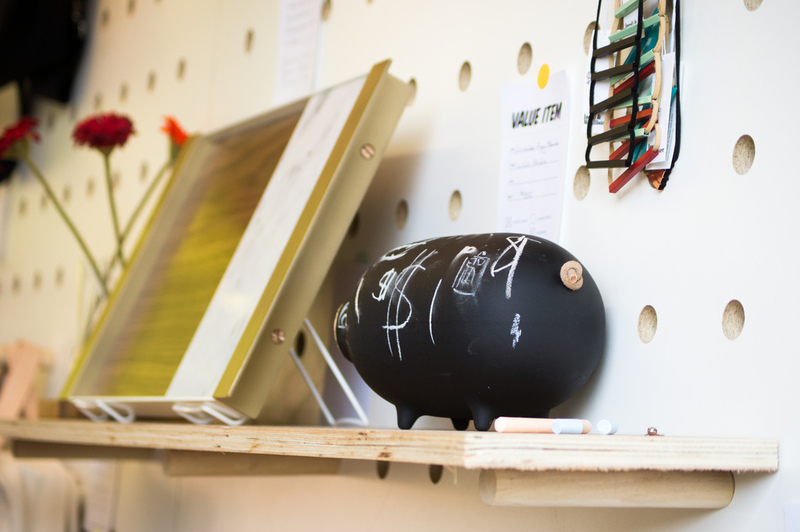 In addition it provided valuable insight into other design fields beyond our own. 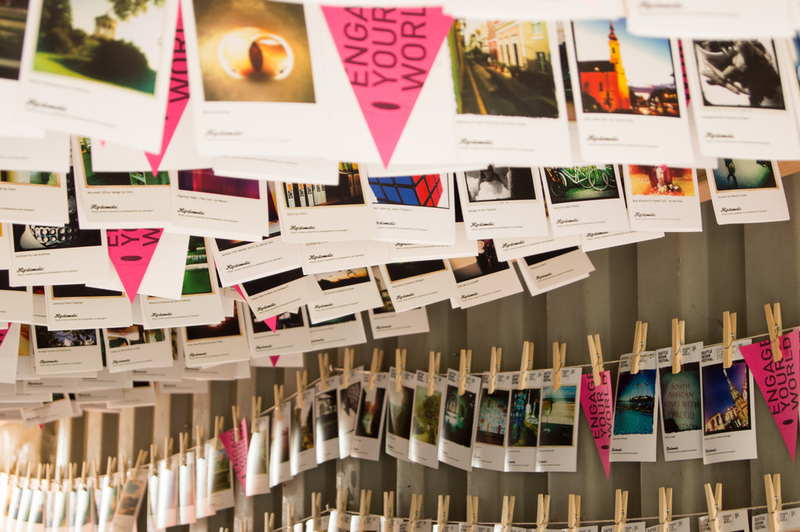 We’d like to see the festival continue to expand those opportunities for networking and creative growth. What would you like to see us do in the streets in 2013?